cdcindonesia.com - Morning spirit, all job seekers, the following information about job vacancies coming from one of the transportation companies in Indonesia, namely:PT Garuda Indonesia (Persero) Tbk - Garuda Indonesia is the national airline company of Indonesia and is majority owned by the Government of Indonesia. As of December 2016, PT Garuda Indonesia (Persero) Tbk is 60.5% owned by the Government of Indonesia which represented by the Minister of State-Owned Enterprises (SOE). Other remaining shares in Garuda Indonesia was owned by Trans Airways (24.6%) and 14.9% remaining shares by investor and public shareholders (with ownership less than 2%). 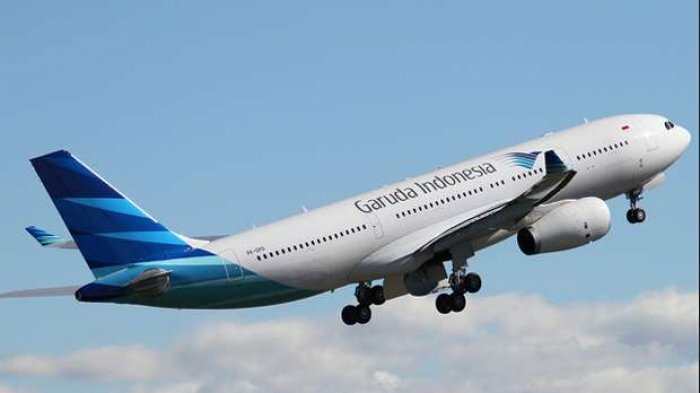 Based in Soekarno-Hatta International Airport (near Jakarta), Garuda Indonesia operates regularly scheduled flights to 64 domestic destination and 19 international destination through 202 fleets. Garuda Indonesia now has 2 strategic business units (Garuda Sentra Medika Business Unit and Garuda Cargo Business Unit) and 5 directly-owned subsidiary companies, namely PT Aero Wisata, PT Citilink Indonesia, PT Abacus Distribution Systems Indonesia, PT GMF Aero Asia and PT Aero Systems Indonesia. Minimum 3 years of experience as a Chef. Able to work under pressure and as a part of a team reporting to the Flight Service Manager (FSM). Able to demonstrate organizational skill and reliability. Have proportional posture with minimum height of 158 cm for Female and 165 cm for Male, with an ideal weight (range weight depending on the height restrictions and age : Female : 44.94 kg - 68.08 kg, Male : 59.90 kg - 82.21 kg). All application will be treated in strictest confidential and only short listed candidates will be notified.